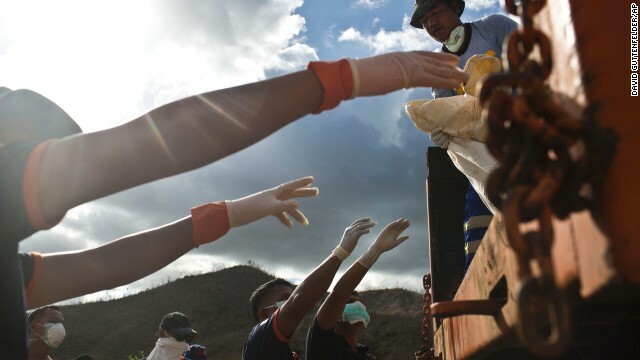 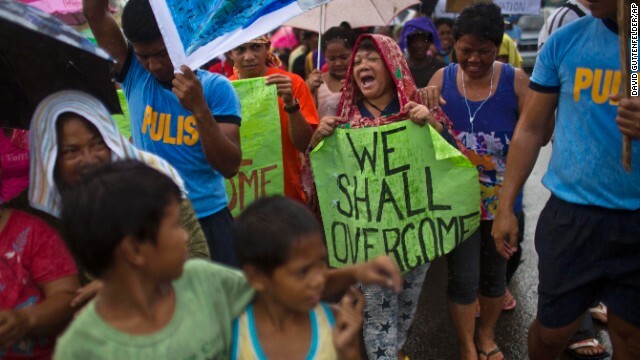 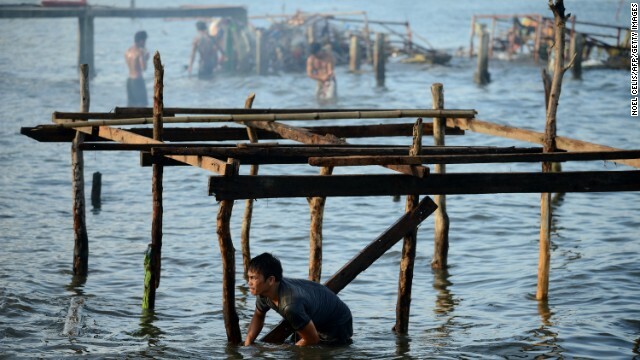 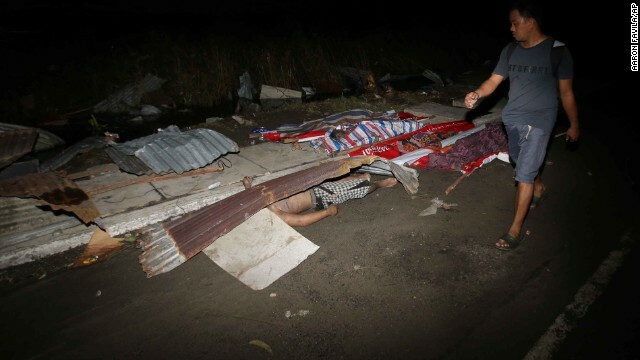 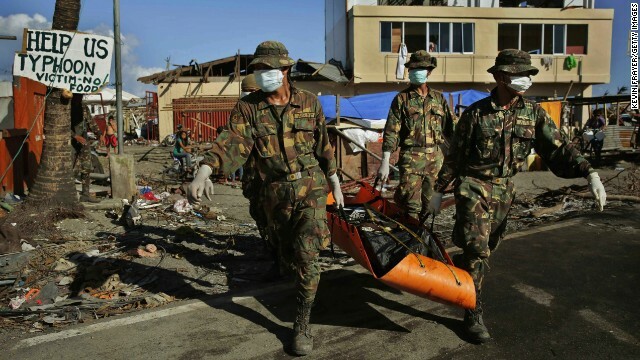 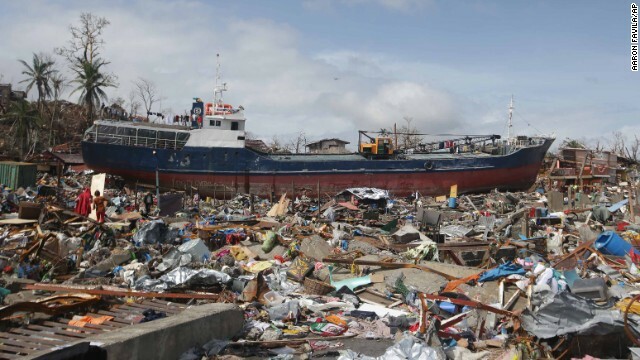 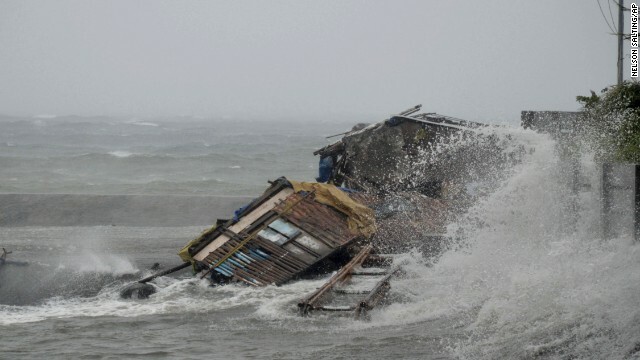 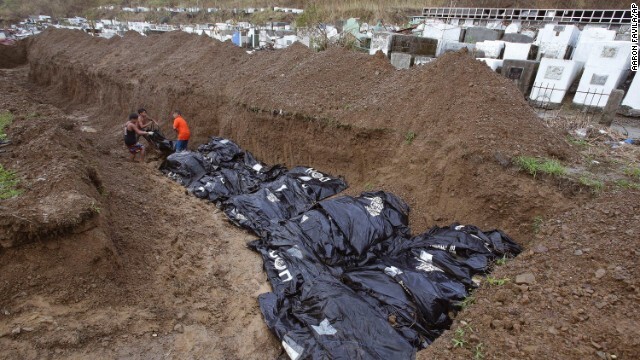 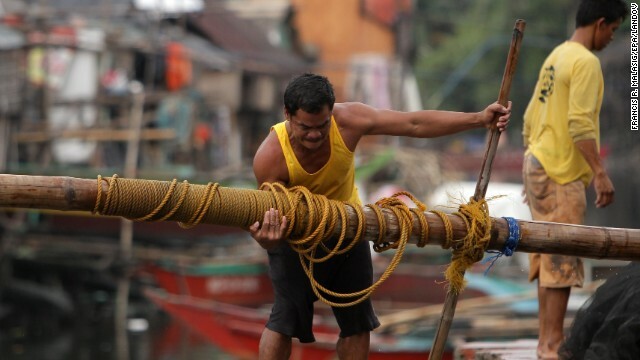 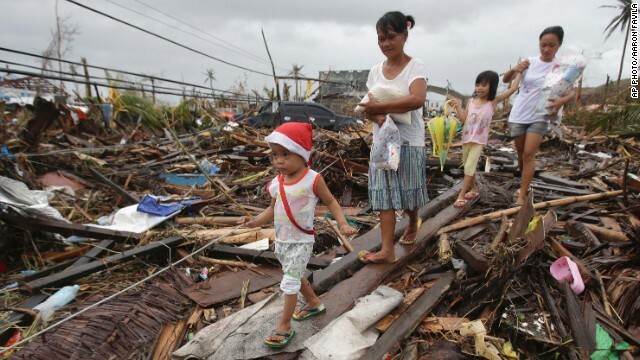 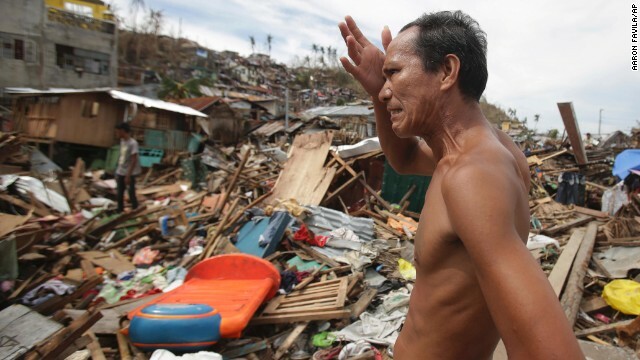 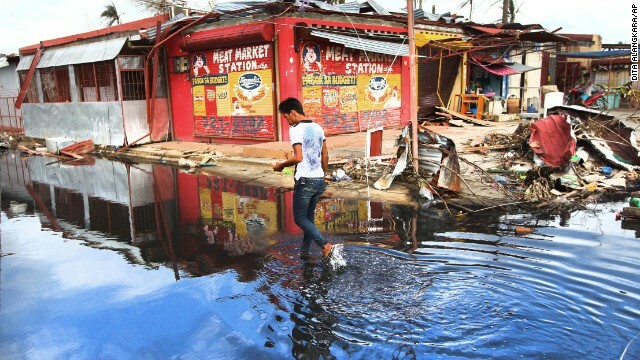 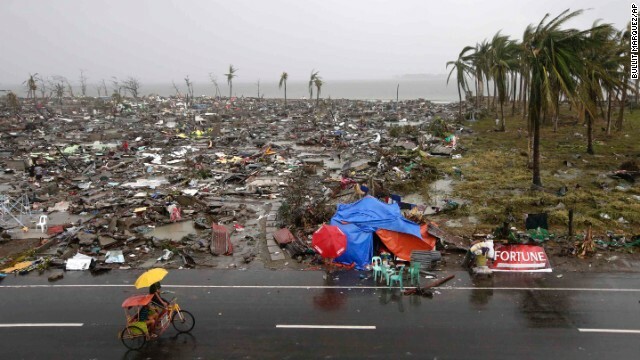 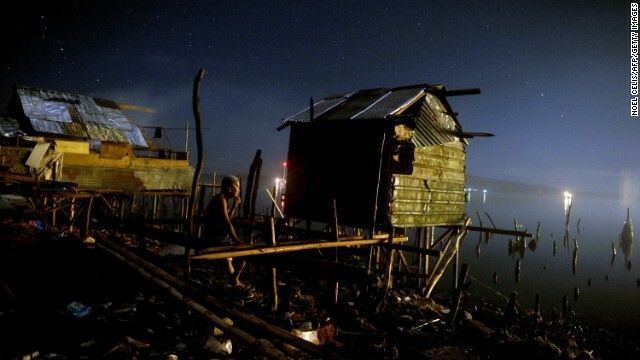 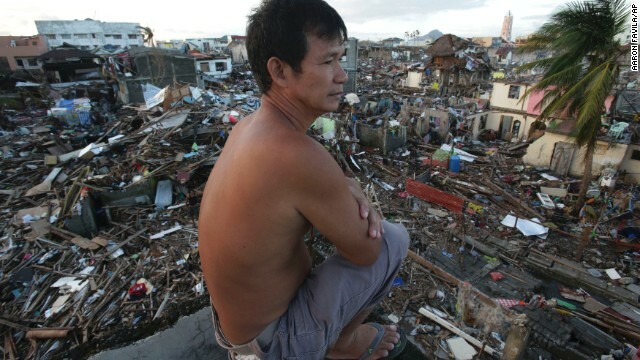 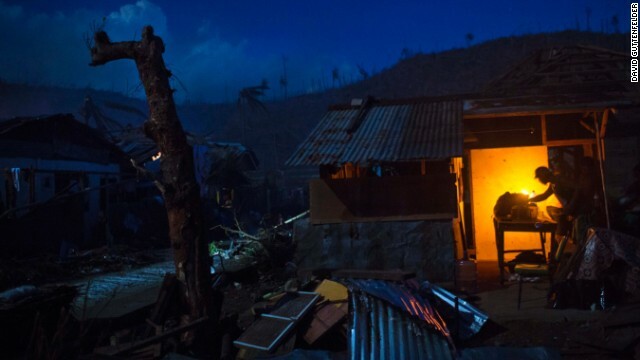 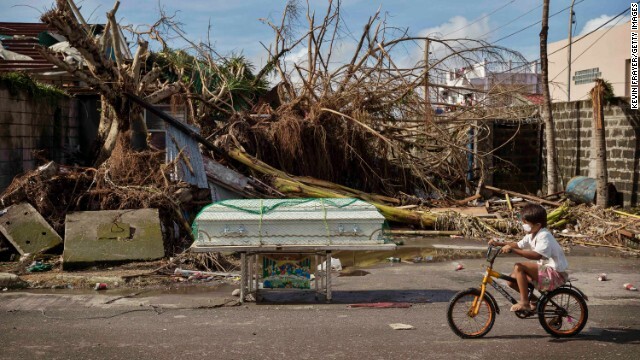 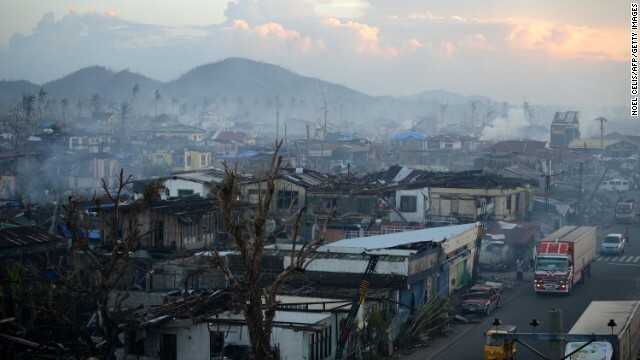 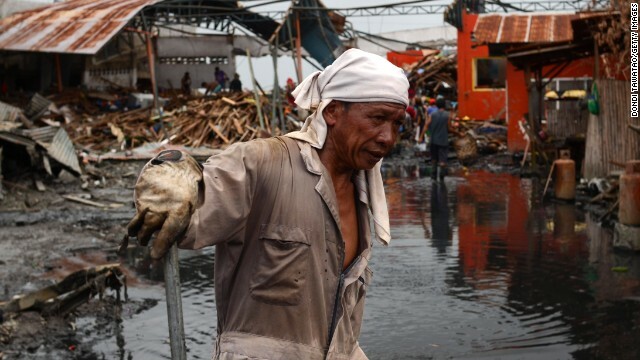 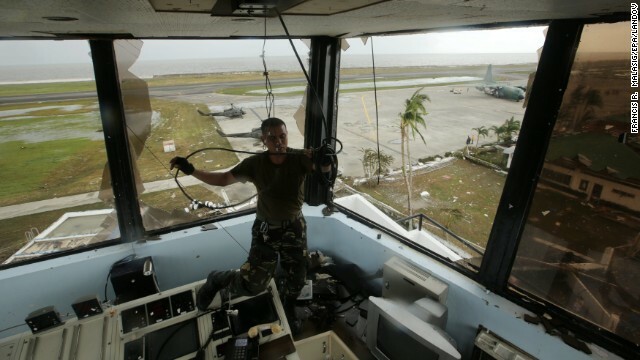 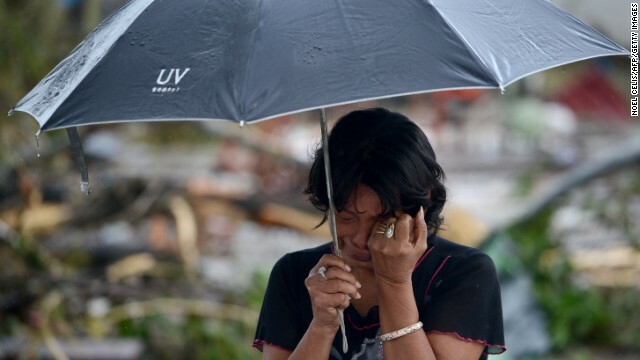 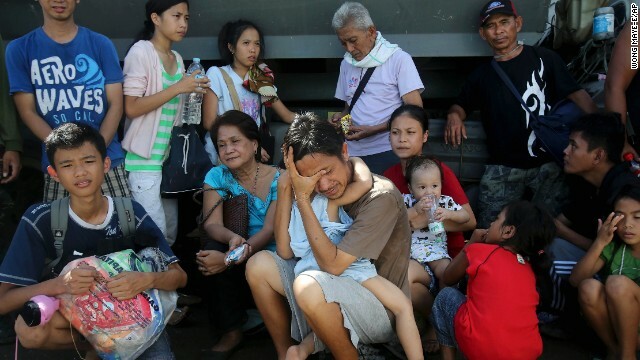 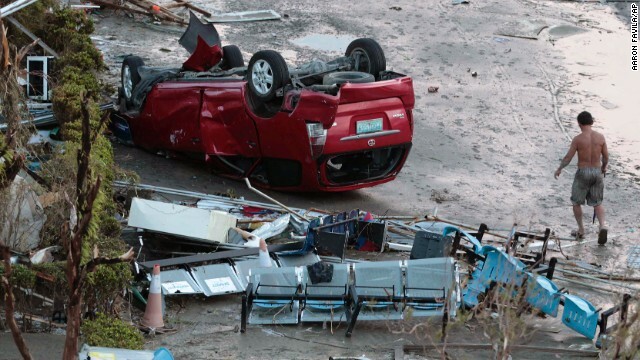 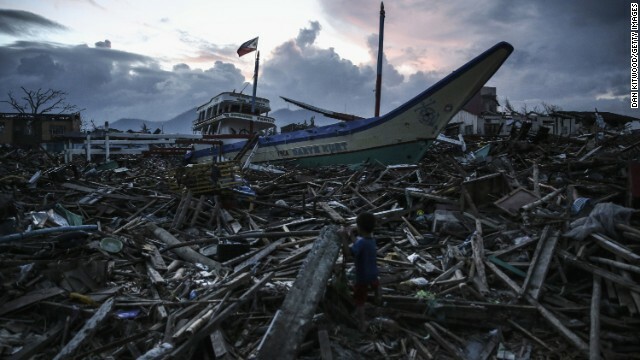 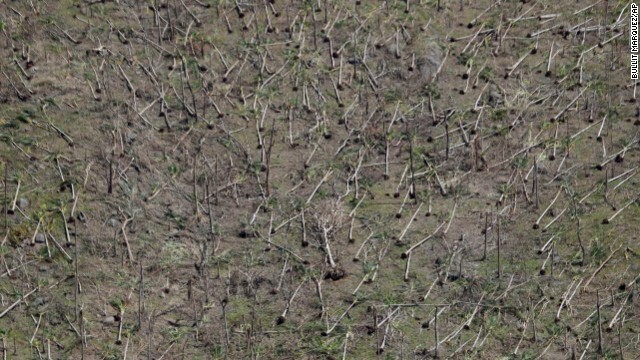 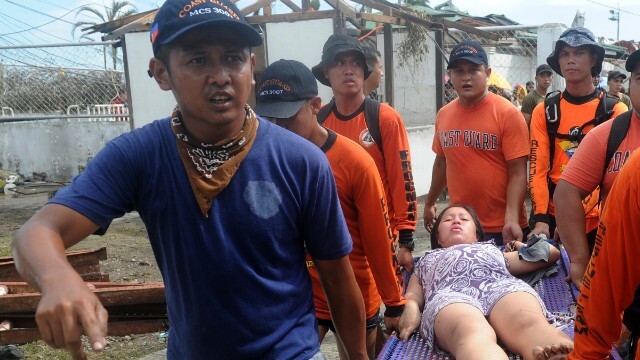 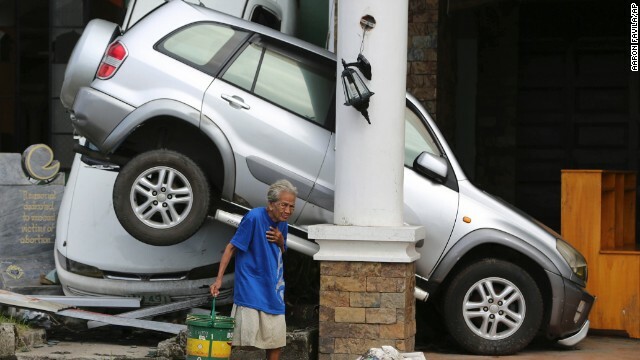 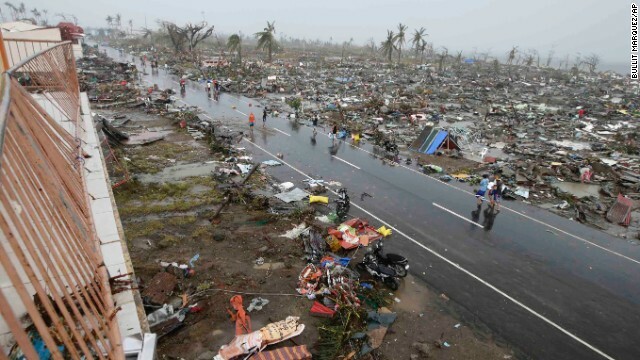 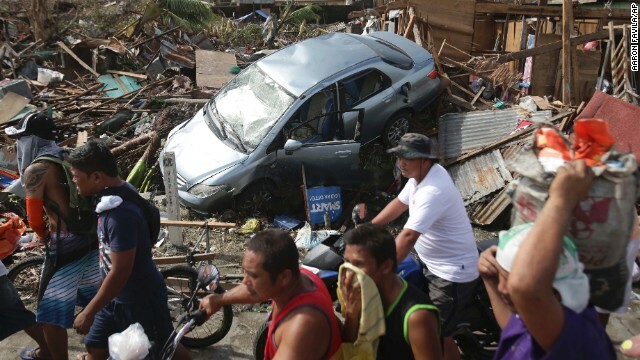 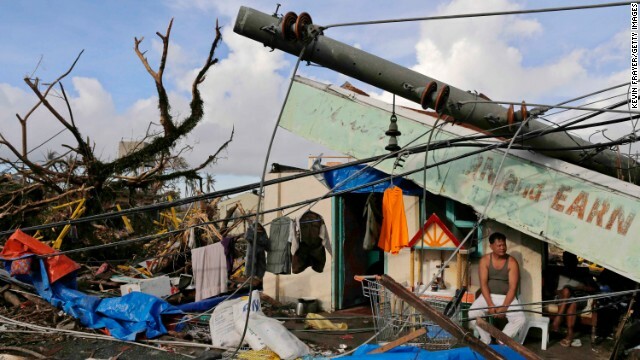 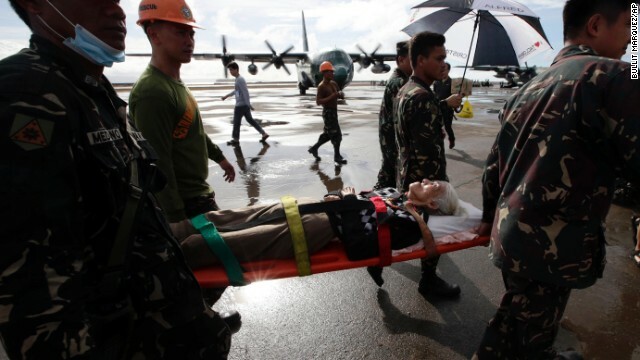 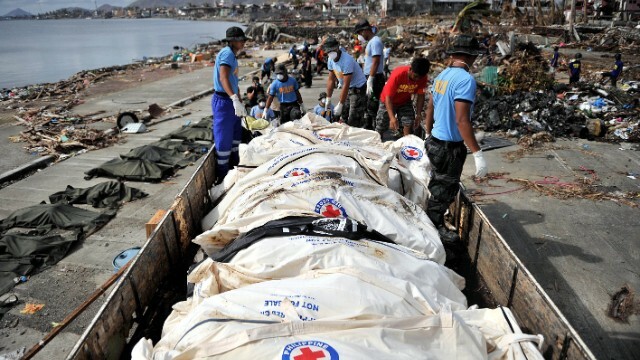 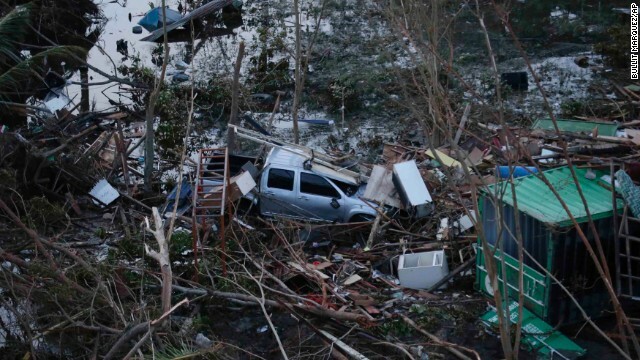 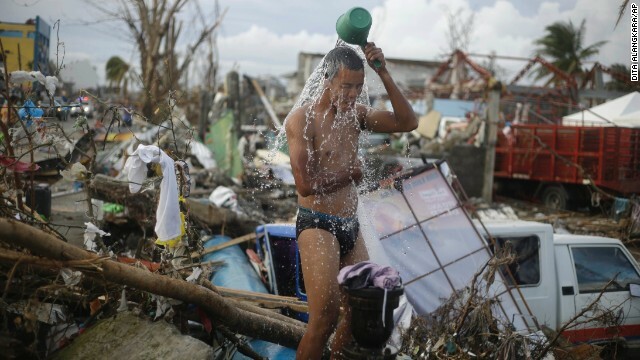 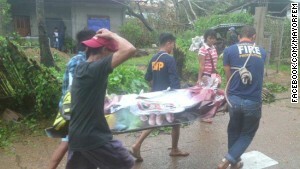 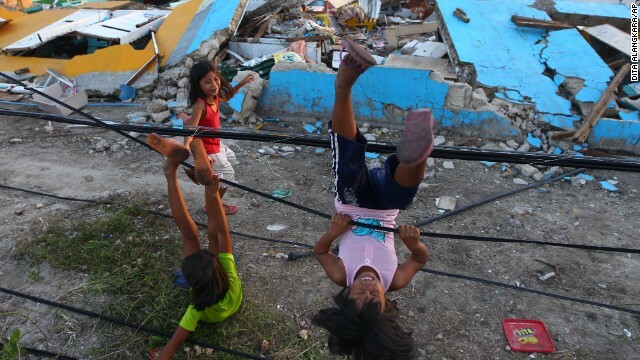 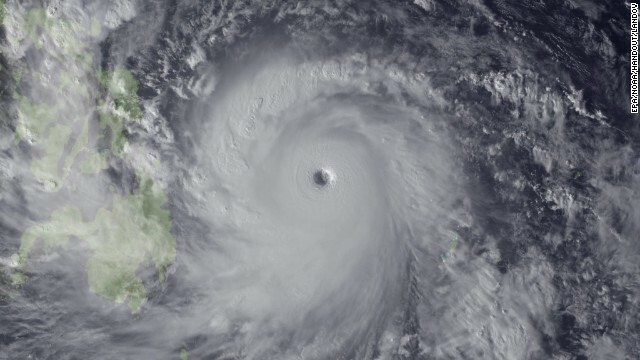 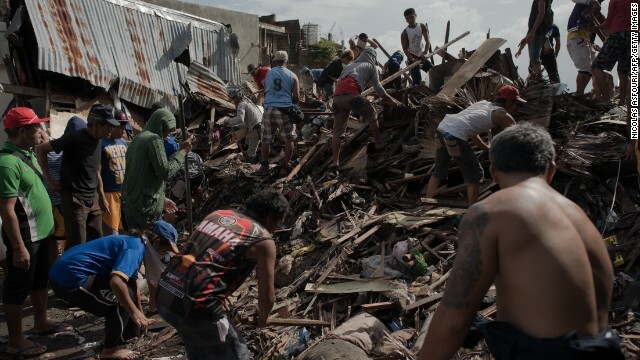 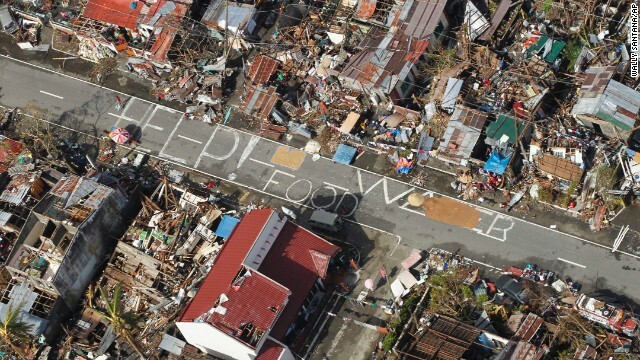 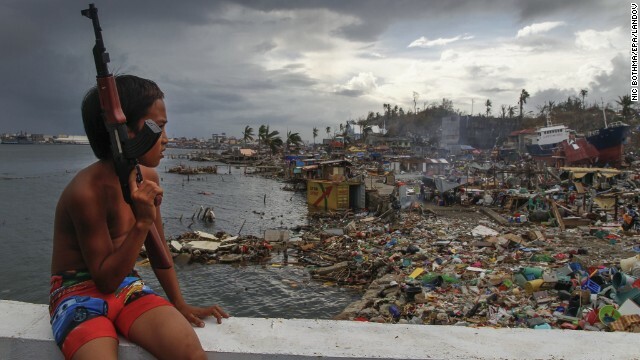 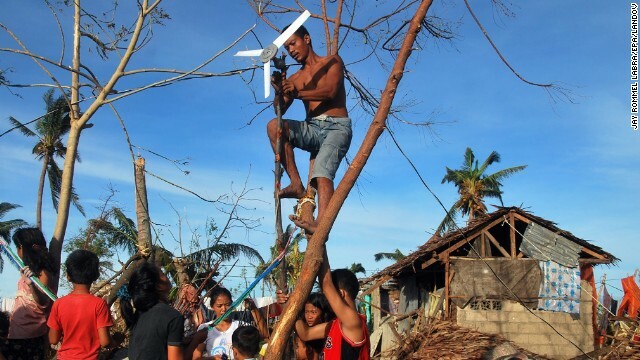 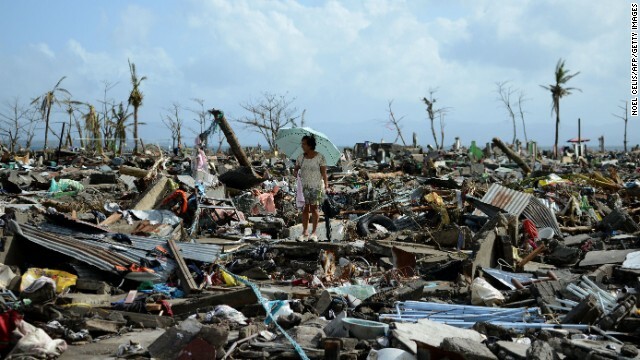 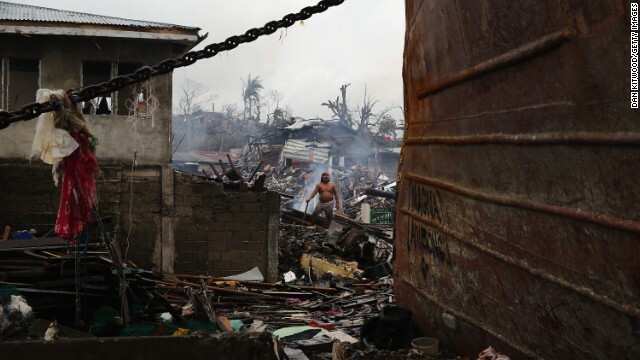 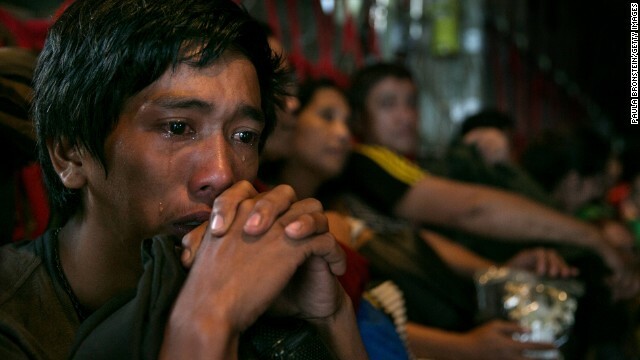 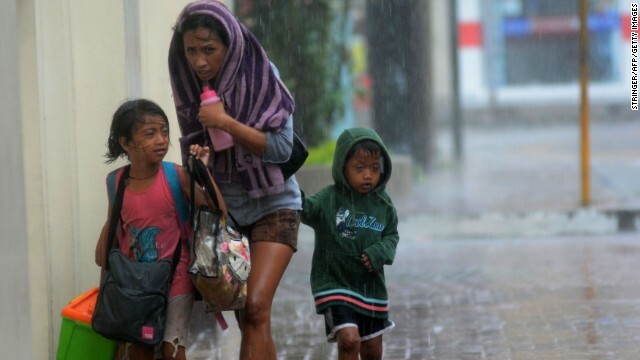 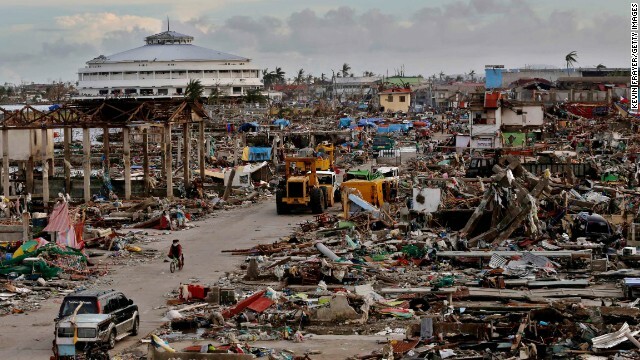 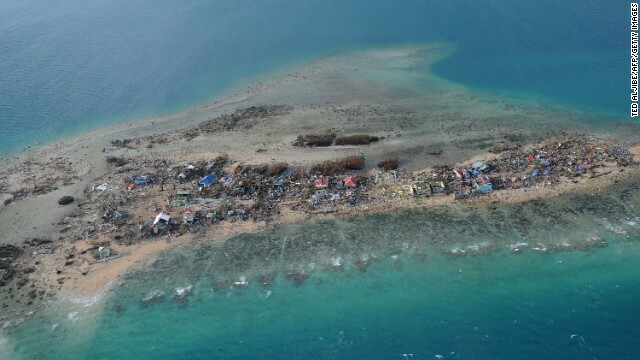 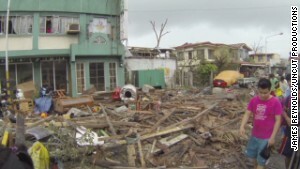 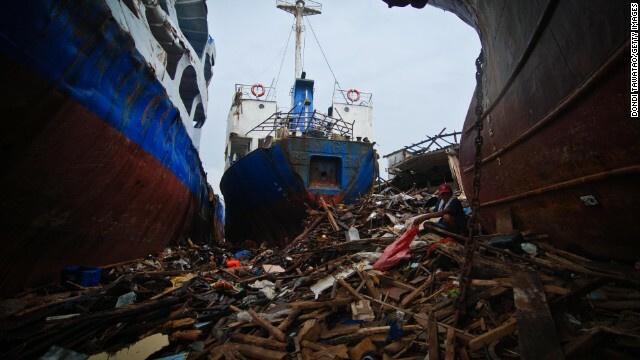 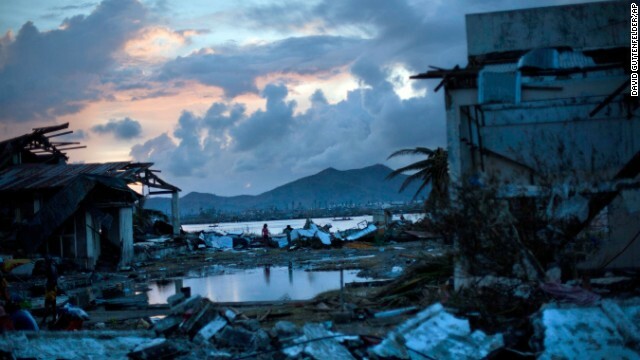 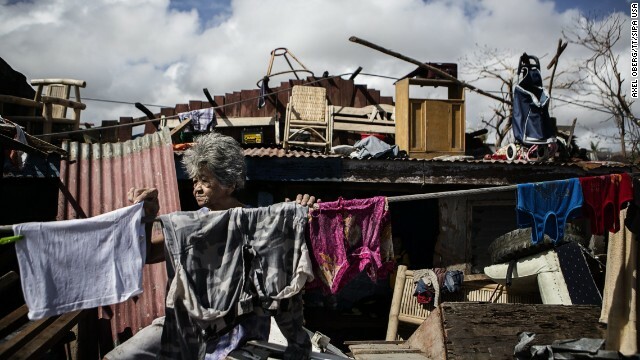 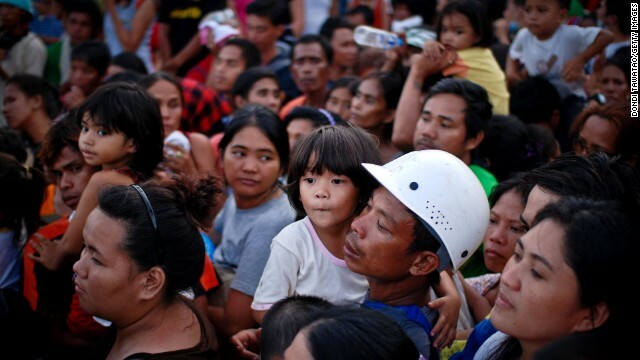 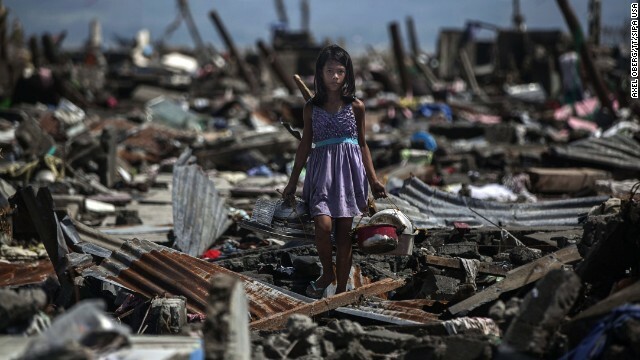 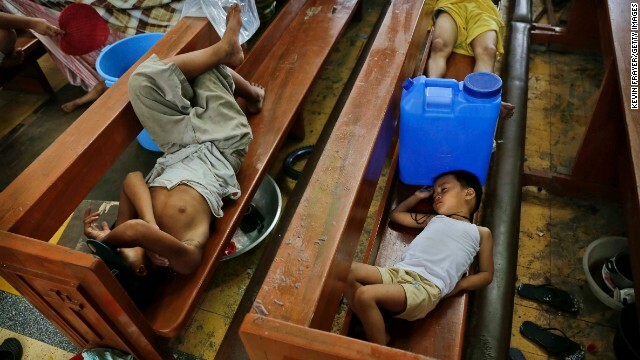 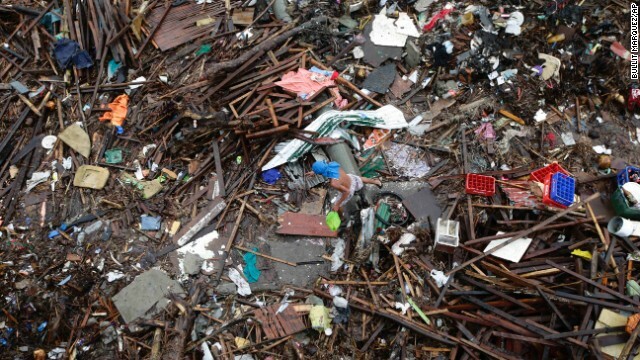 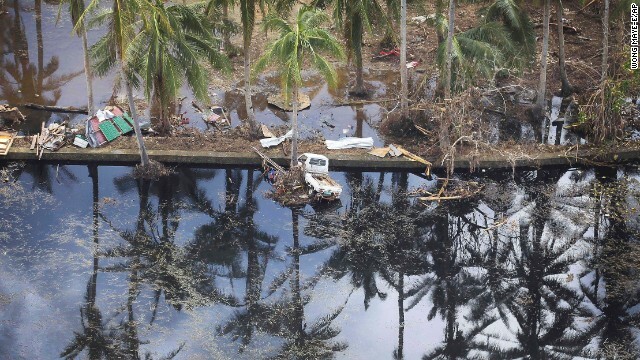 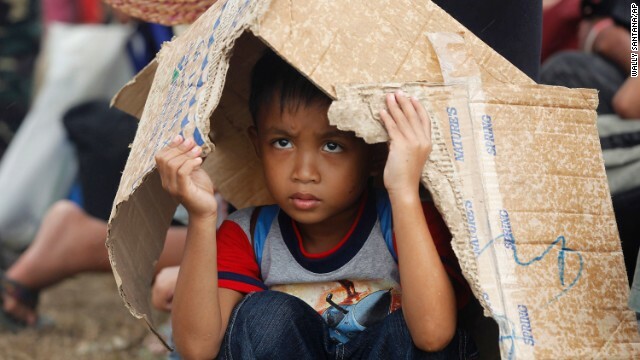 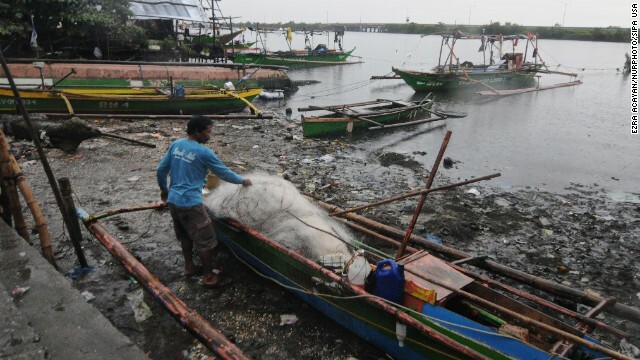 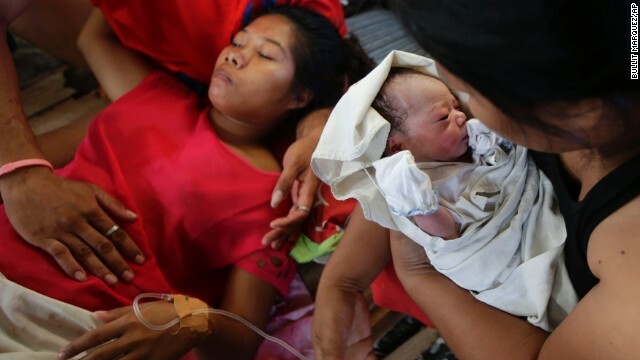 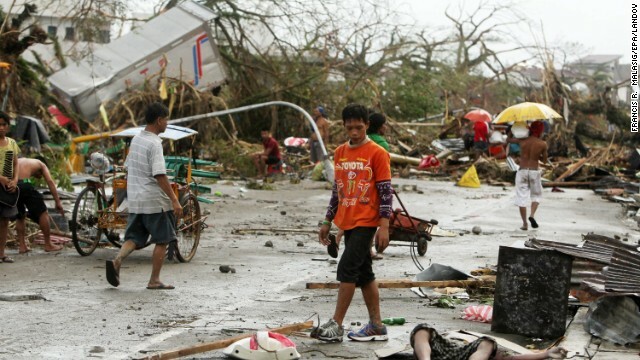 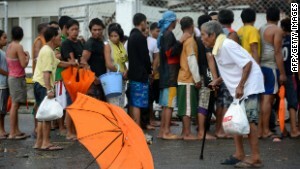 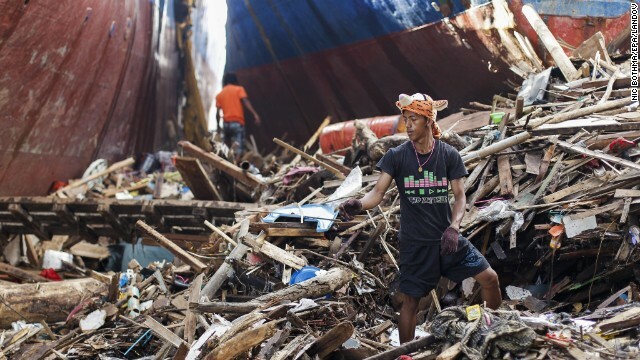 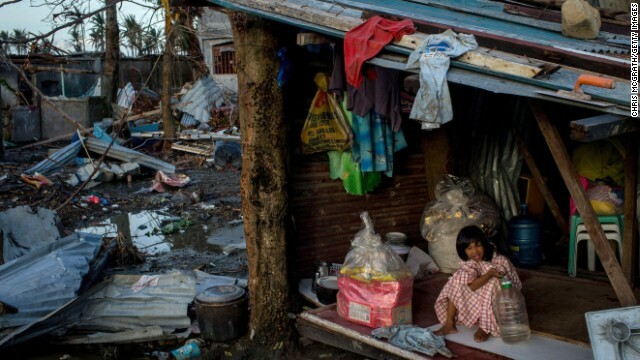 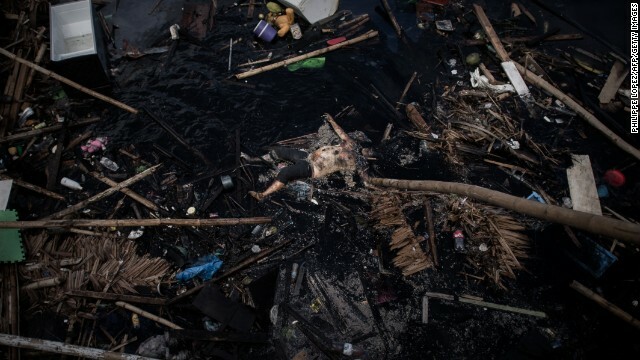 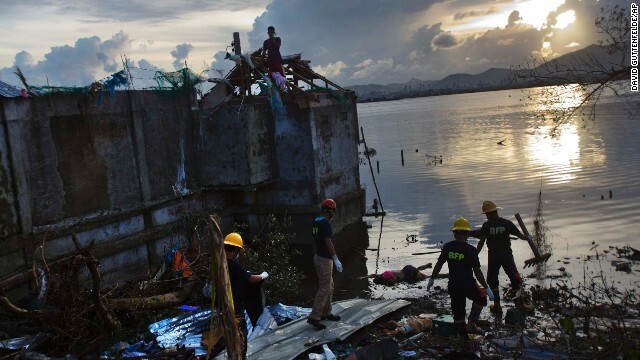 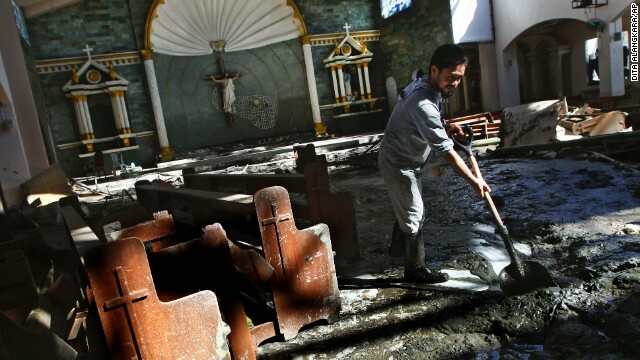 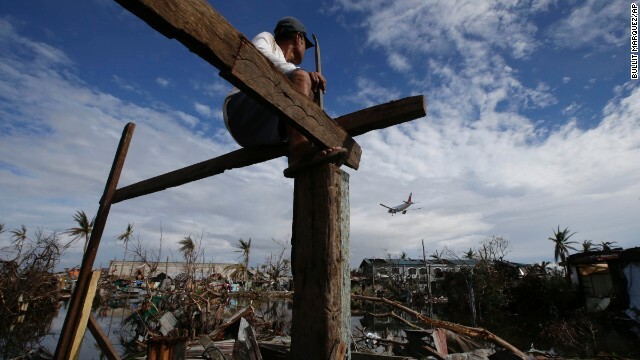 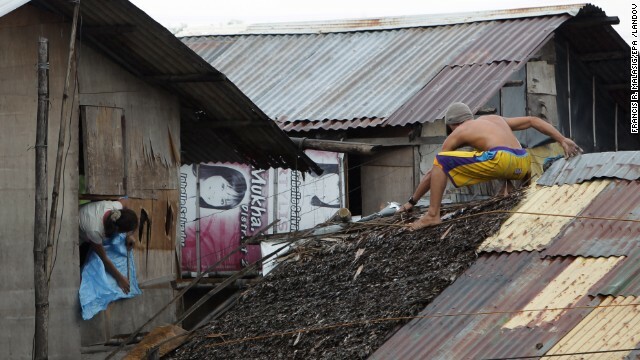 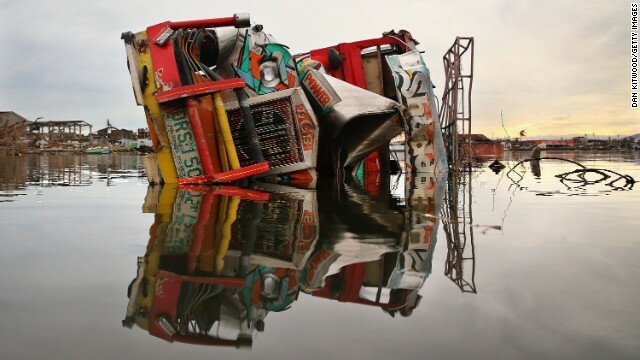 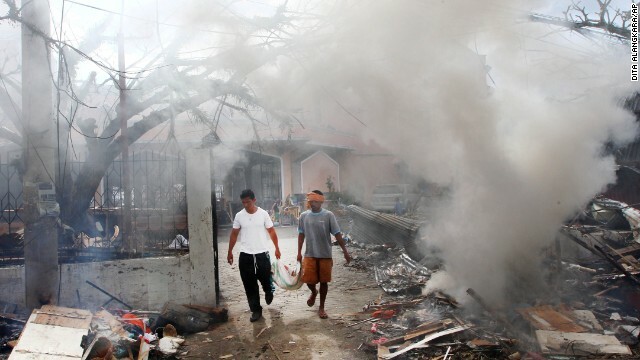 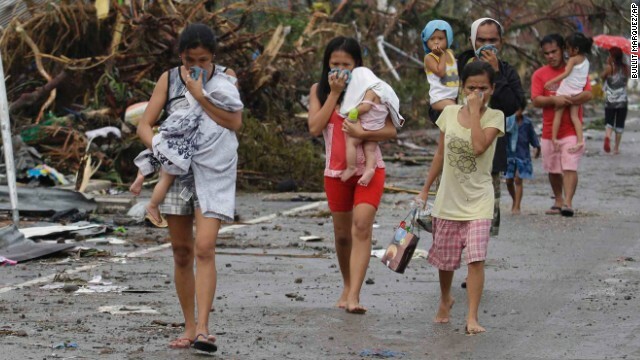 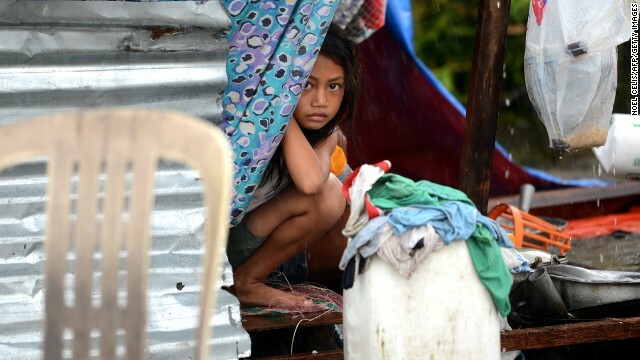 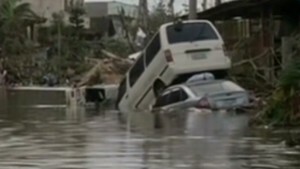 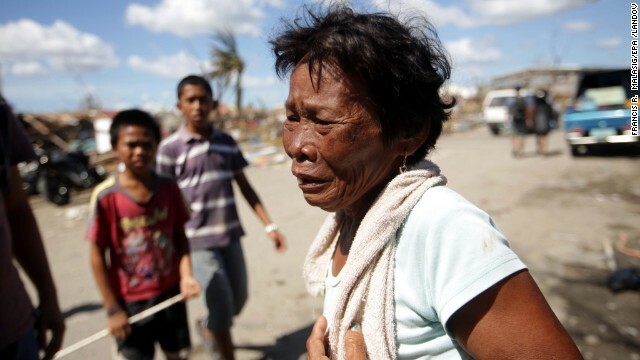 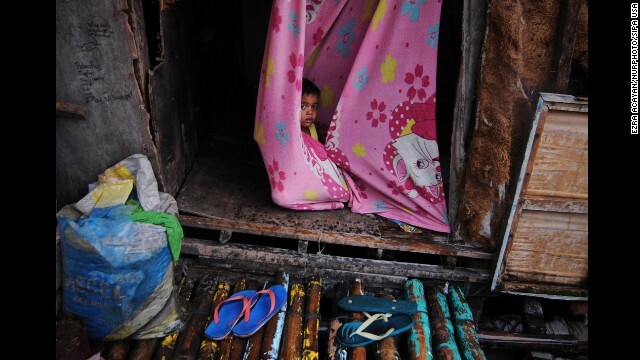 Tacloban, Philippines (CNN) -- As the Philippines faced a long, grim path to recovery in the wake of Typhoon Haiyan, the storm plowed into northeastern Vietnam early Monday, packing powerful winds and forcing hundreds of thousands to evacuate. 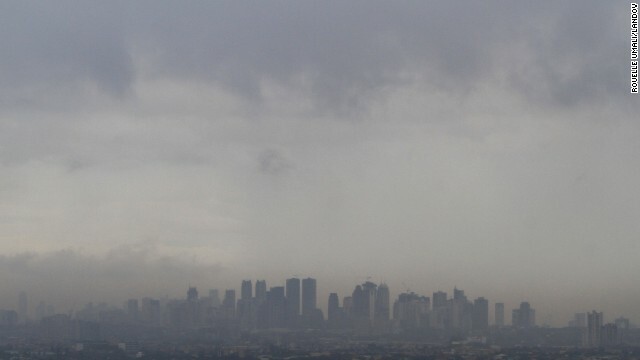 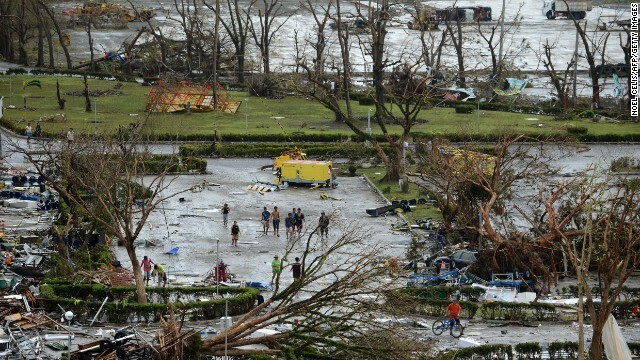 Philippine authorities warned that the typhoon may have killed thousands there, leaving behind a trail of devastation on a scale they'd never seen before. 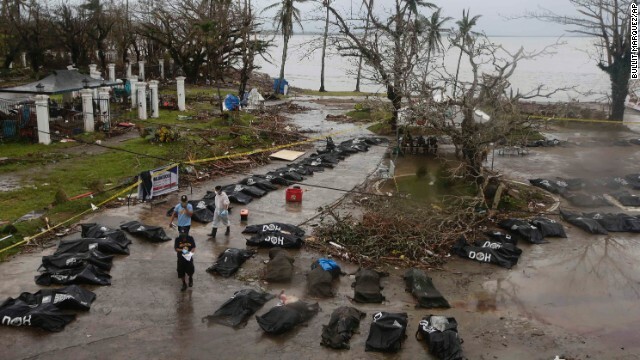 Others put the toll much higher: The International Committee of the Red Cross said it's realistic to estimate that 10,000 people may have died nationally. 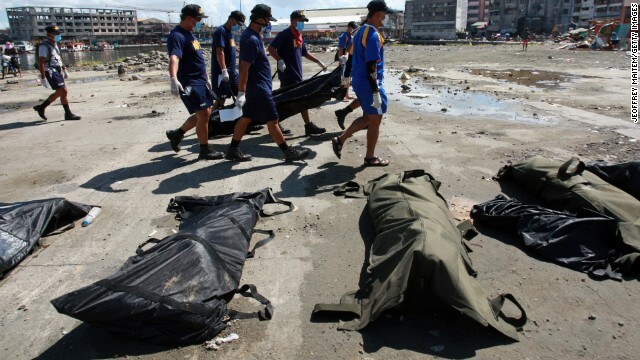 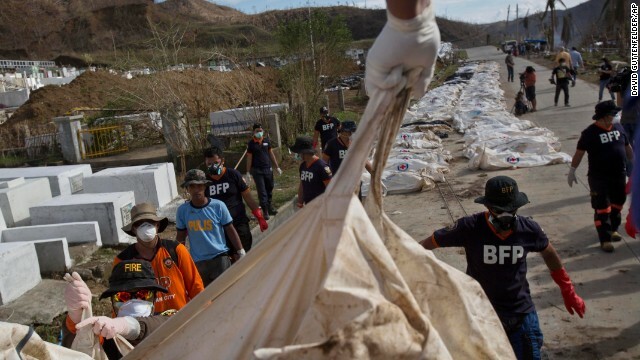 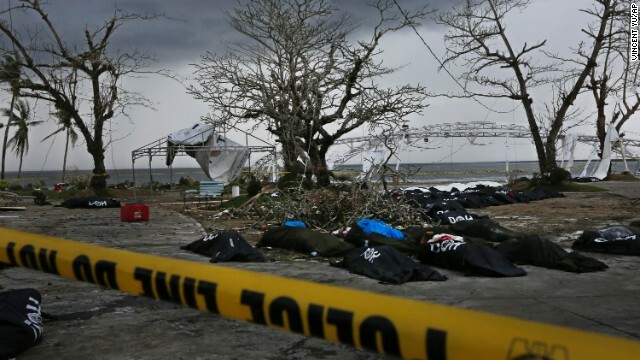 The grim task of counting the bodies was just beginning Monday as authorities sifted through the rubble of what was left behind in hard-hit cities like Tacloban on the island of Leyte. 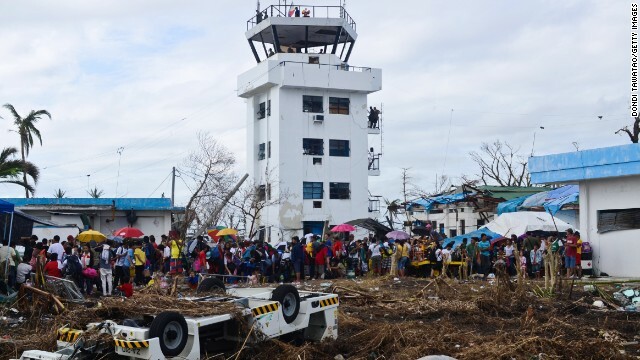 The official toll stood at 255 Monday, according to the country's National Disaster Risk Reduction and Management Council. 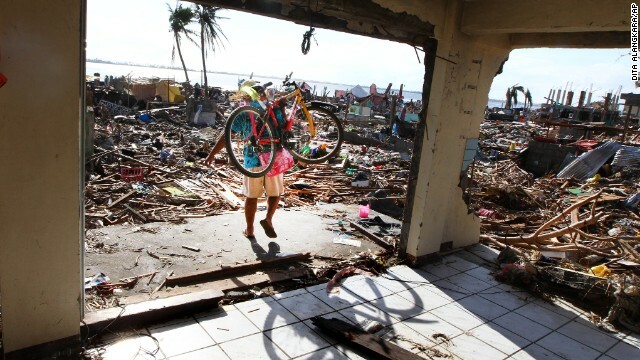 "I have not spoken to anyone who has not lost someone, a relative close to them. 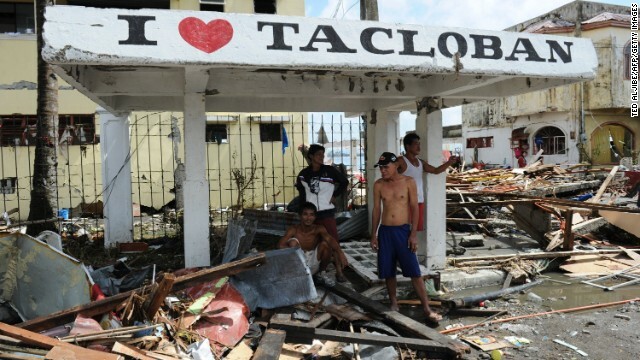 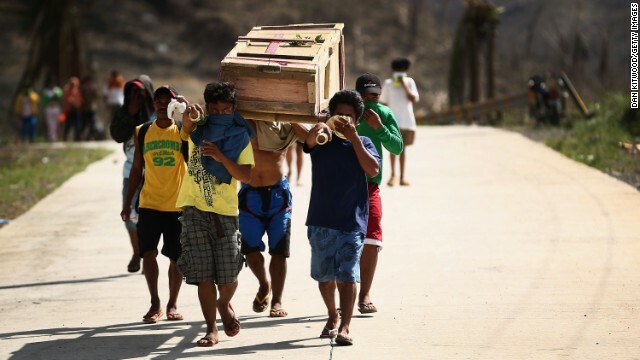 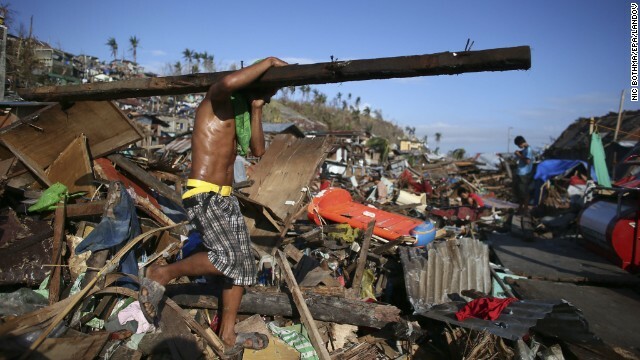 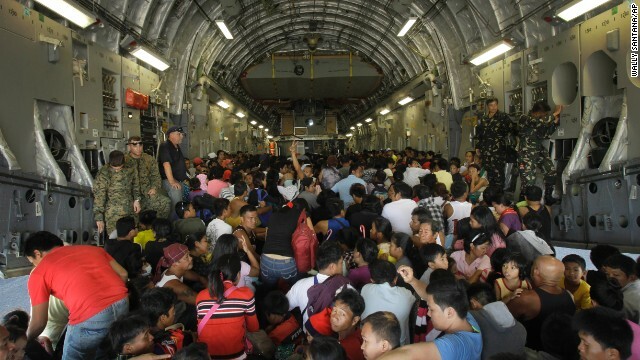 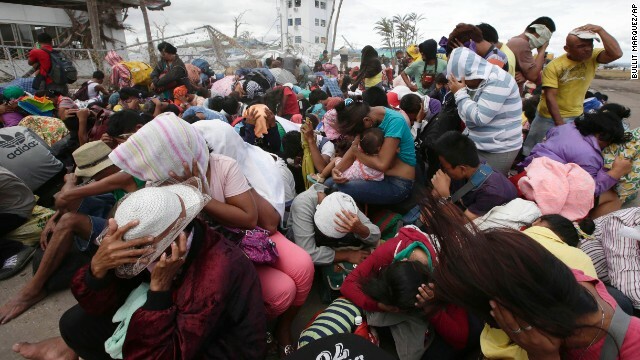 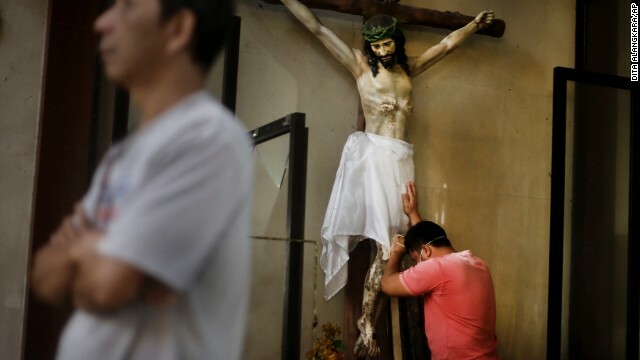 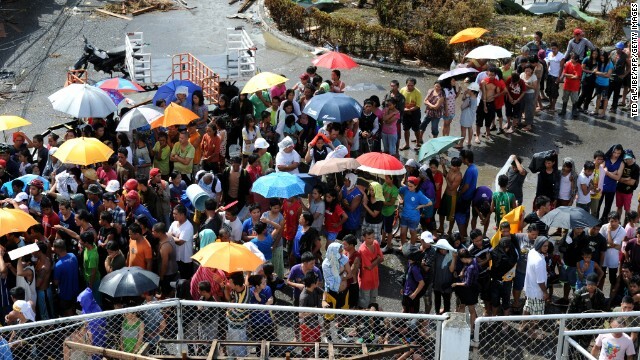 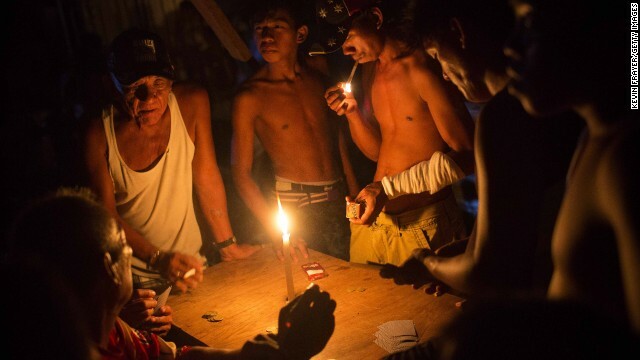 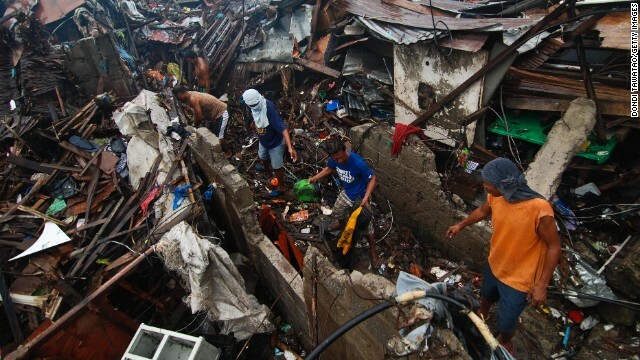 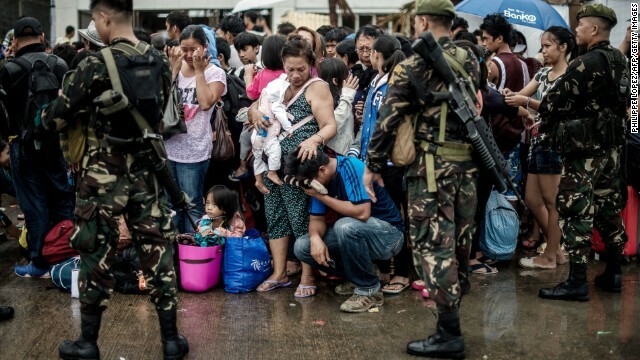 We are looking for as many as we can," Tacloban Mayor Alfred Romualdez told CNN. 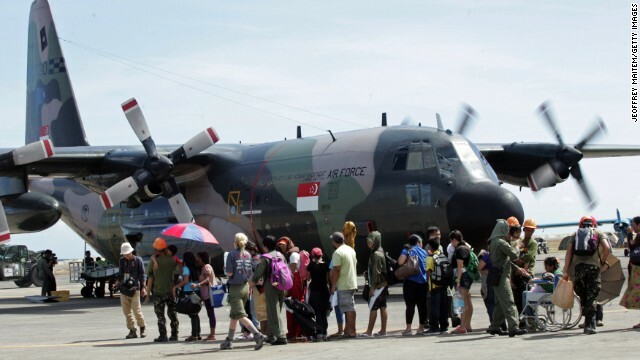 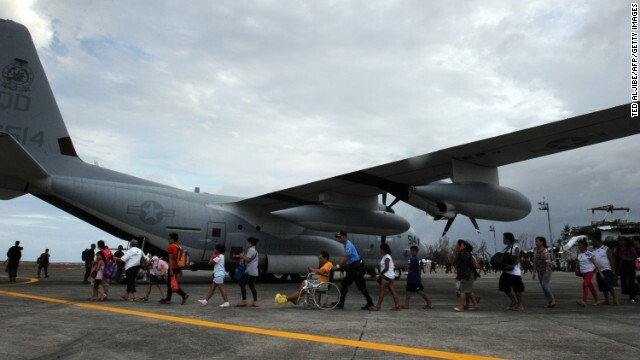 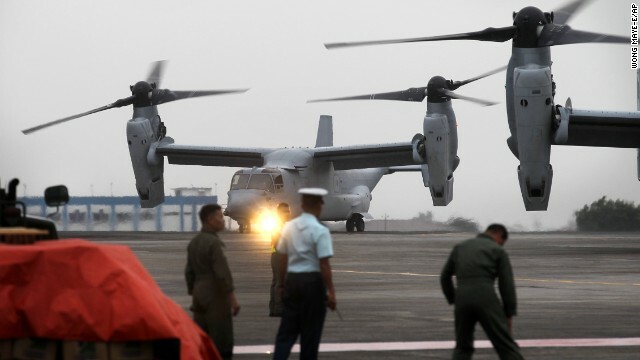 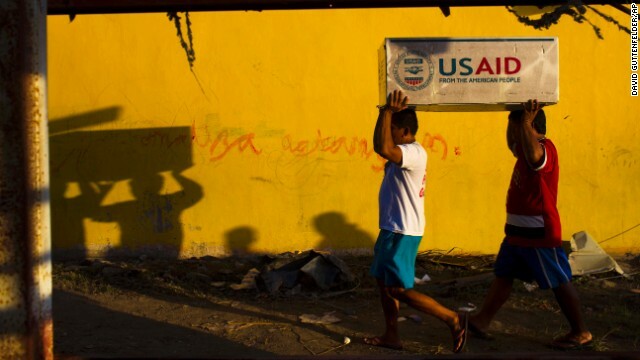 Desperately needed aid was making its way into the storm-ravaged city of Tacloban on Monday. 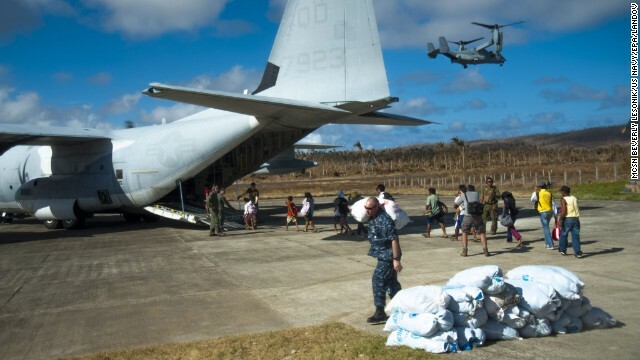 C-130 planes arrived, carrying food, water and supplies. 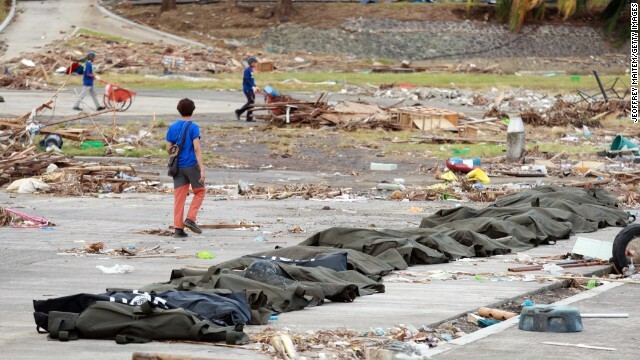 Other planes left -- some of them carrying body bags with storm victims. 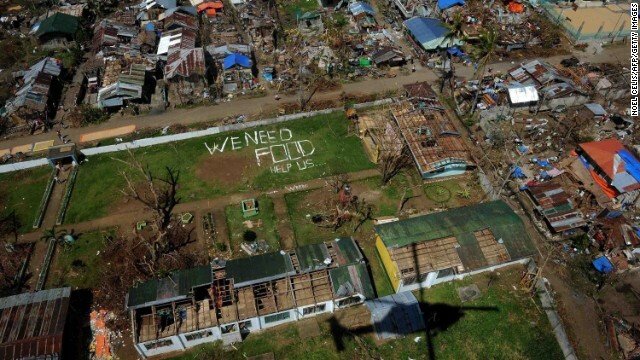 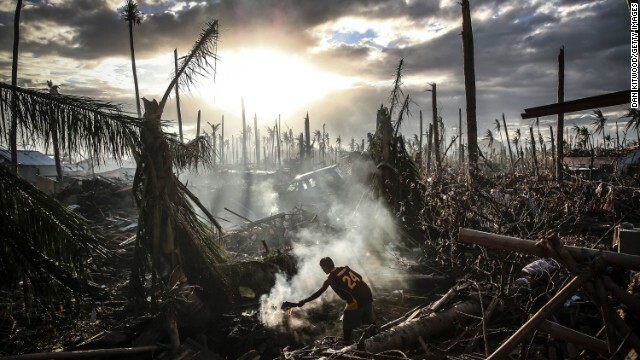 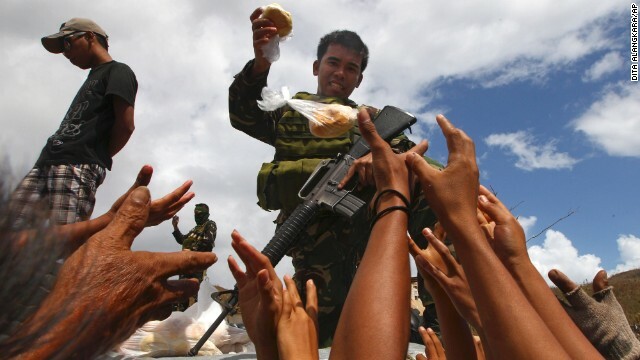 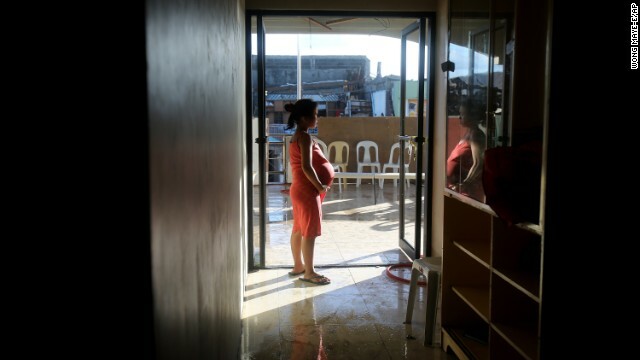 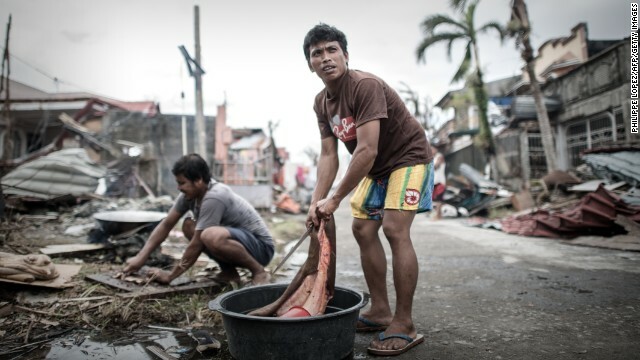 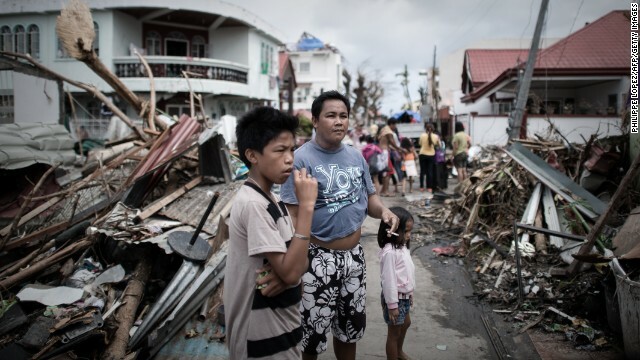 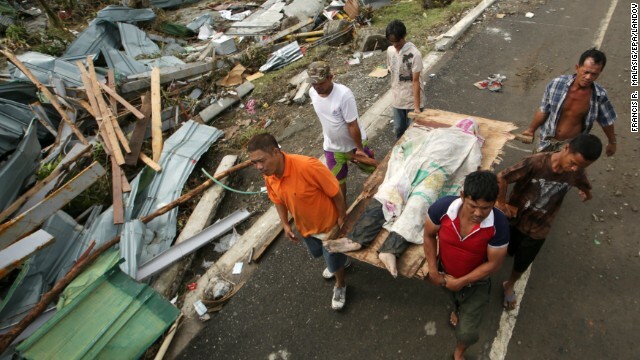 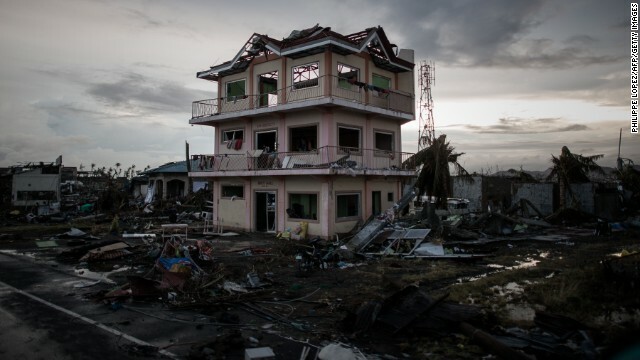 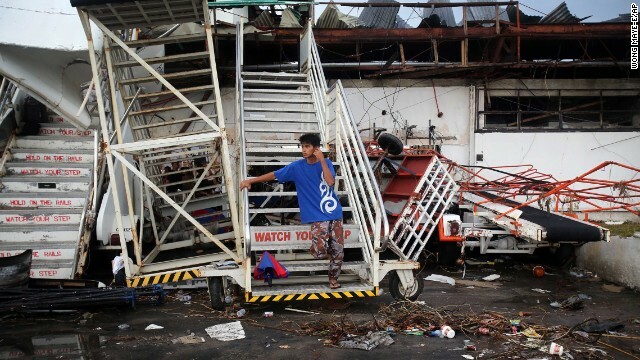 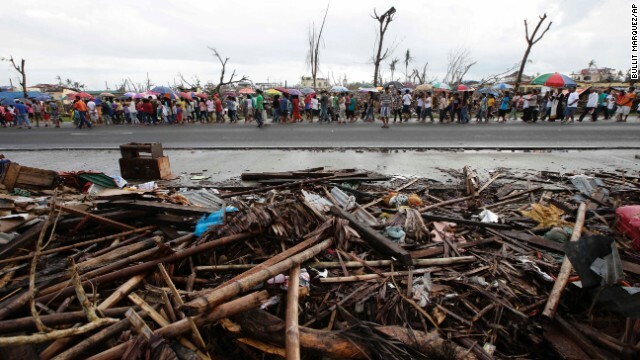 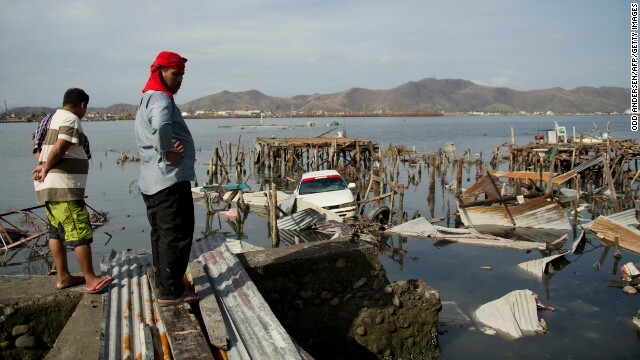 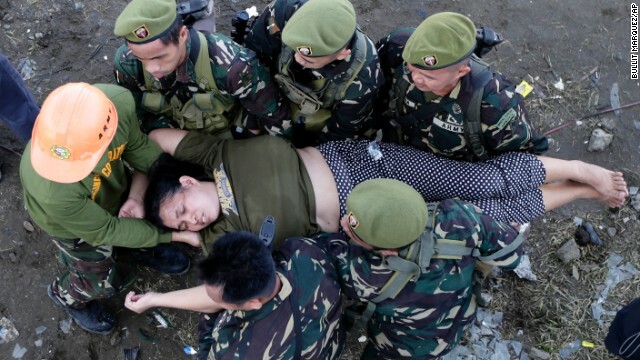 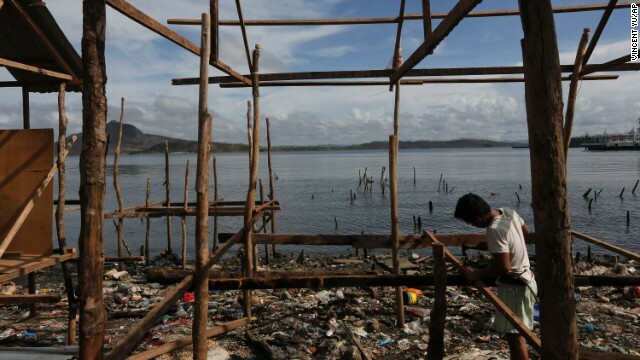 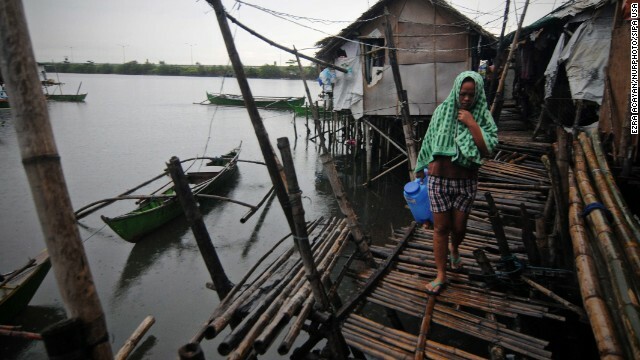 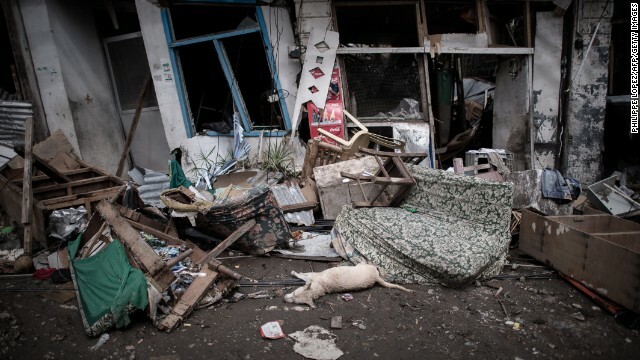 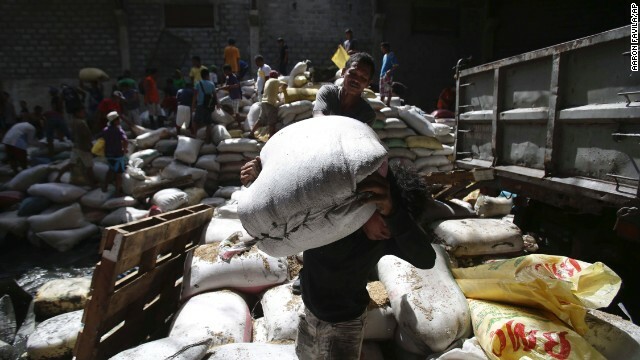 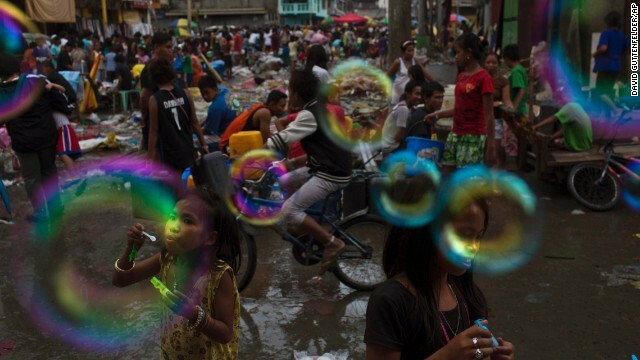 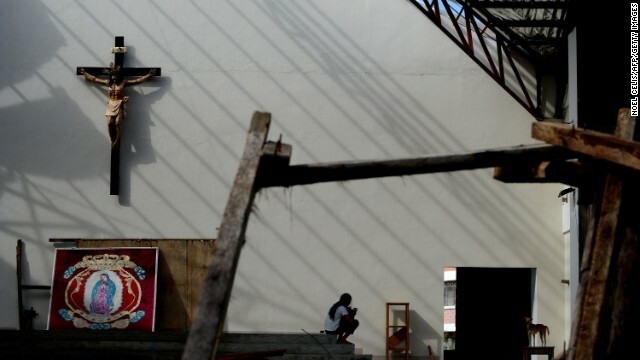 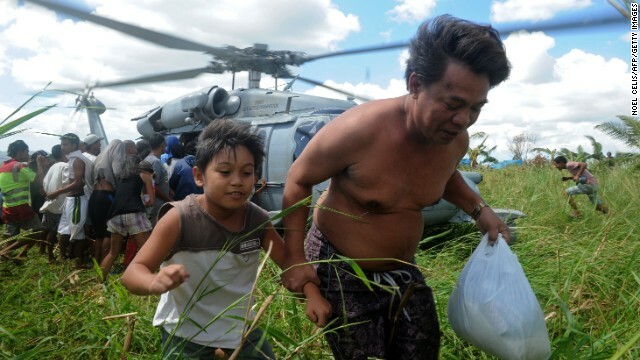 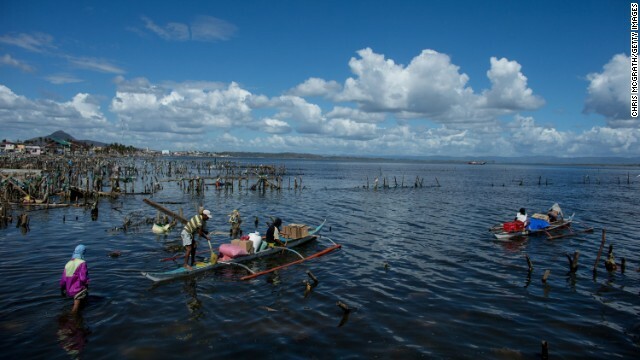 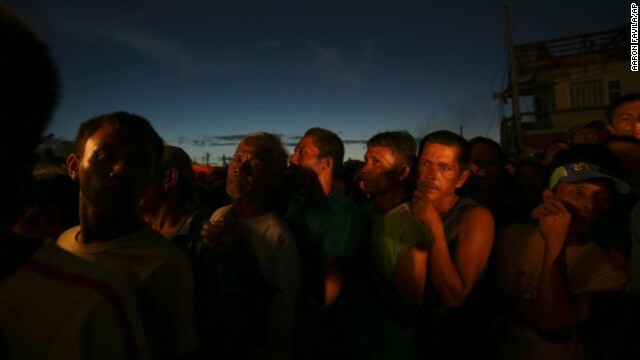 In Tacloban, the search for food and water led to increasingly desperate efforts. 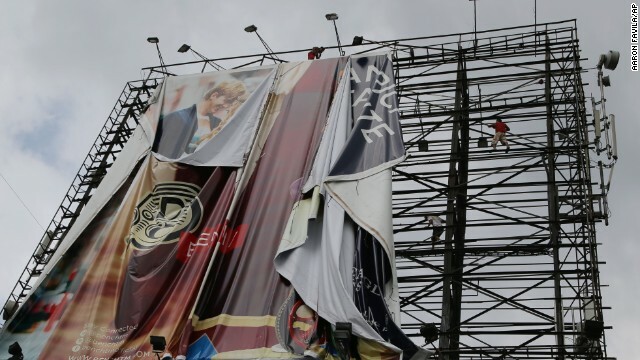 National police and the military sent reinforcements to the city Sunday to prevent such thefts. 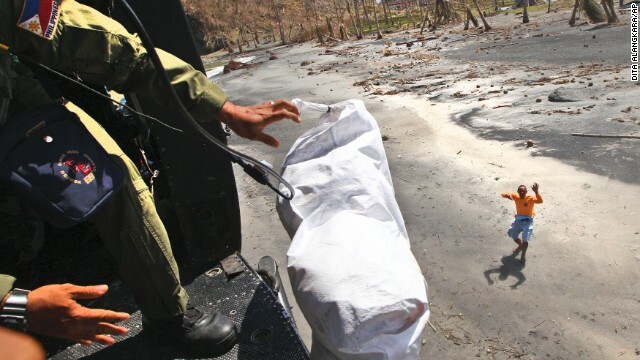 And authorities said they were sending several hundred additional security personnel into the city to keep law and order. 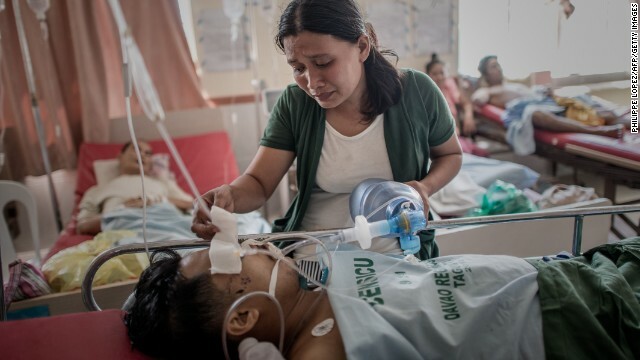 Another dire scene played out in the city's only functioning hospital. 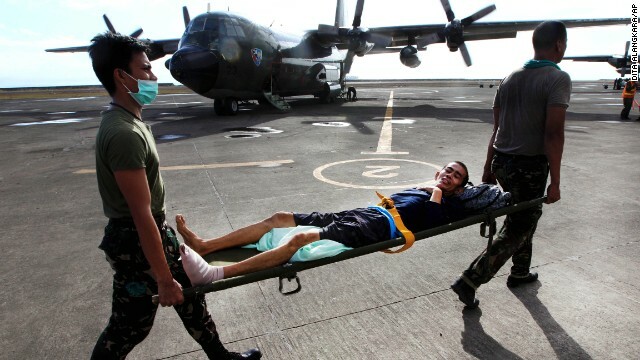 Doctors couldn't admit any more wounded victims -- there wasn't enough room. 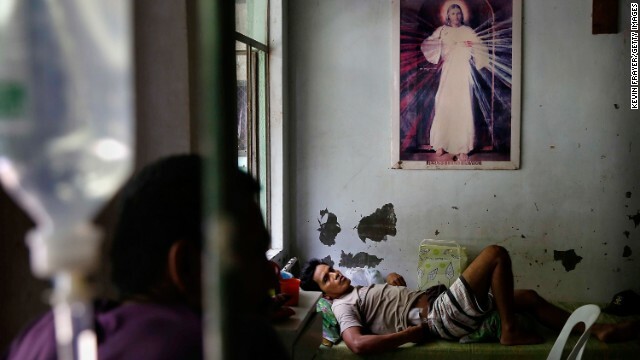 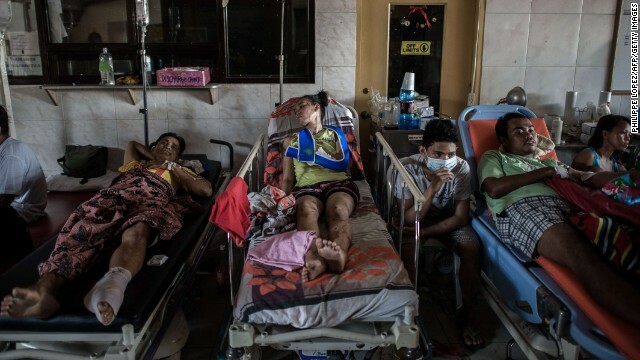 Some of the injured lay in the hospital's cramped hallways seeking treatment. 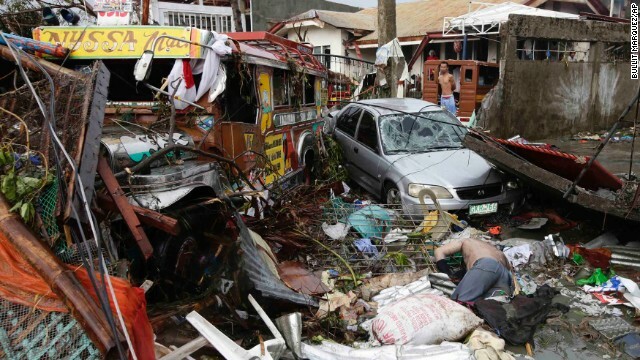 Romualdez, Tacloban's mayor, told CNN that reports 10,000 people may have died in Leyte province were "entirely possible." 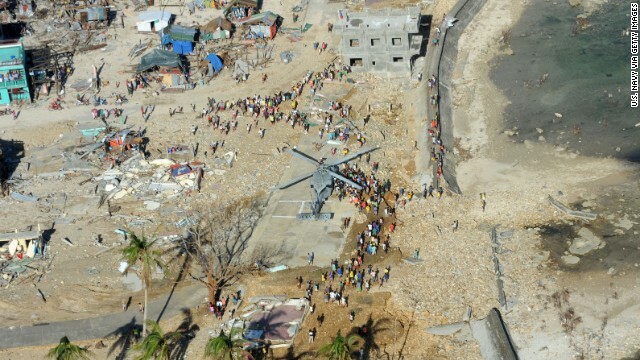 "People here were convinced that it looked like a tsunami," he said. 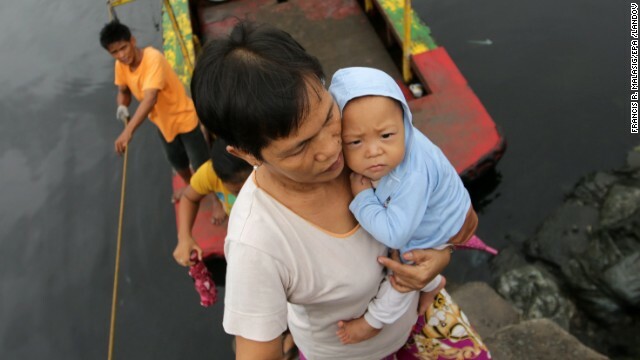 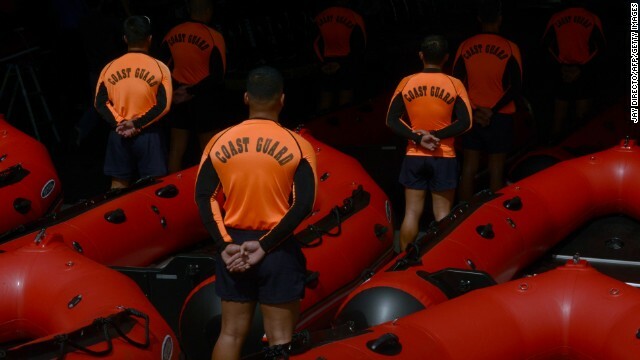 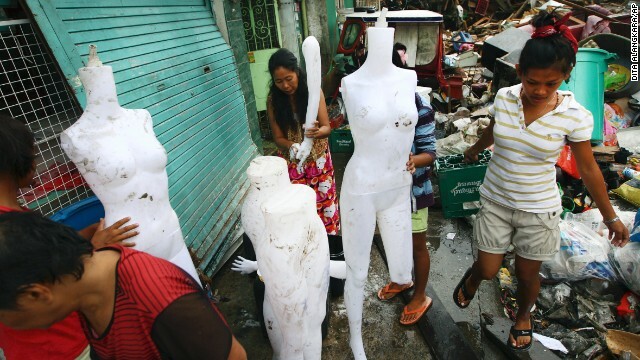 The massive losses in the Philippines have put much of Vietnam on edge. 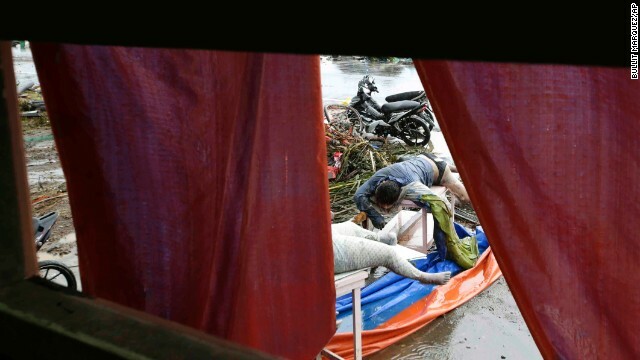 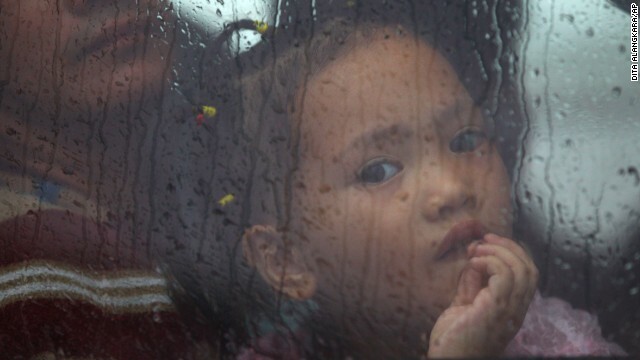 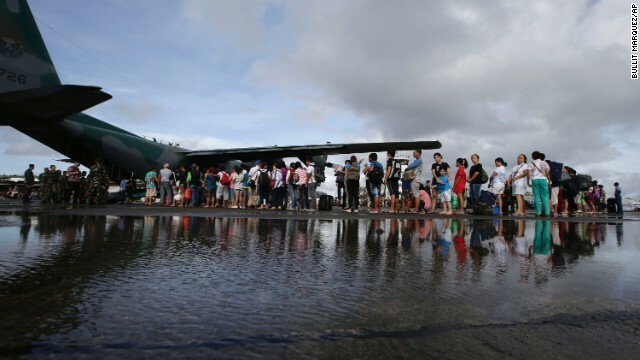 Authorities evacuated around 600,000 people from vulnerable areas as the typhoon neared, the Vietnamese government's official online newspaper VGP News reported. 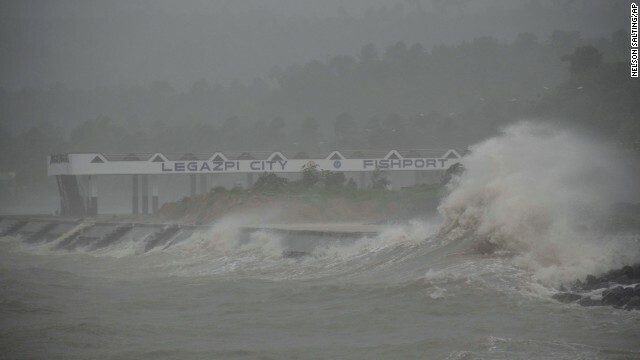 Haiyan made landfall around 4 a.m. Monday (4 p.m. Sunday ET) with sustained winds of 120 kph (75 mph) and gusts of 150 kph (93 mph). 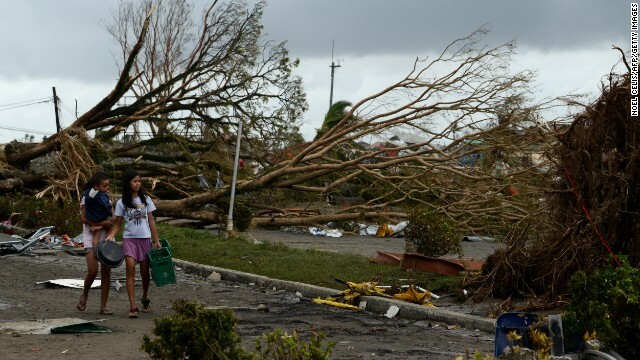 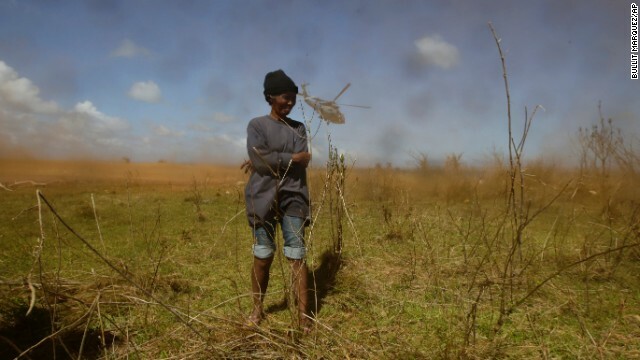 At least six people were initially reported to have died as a result of the storm, according to VGP. 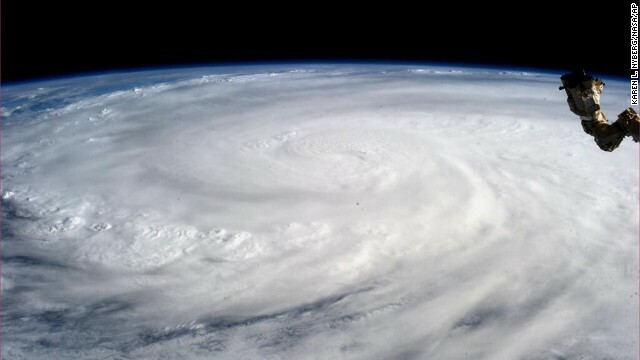 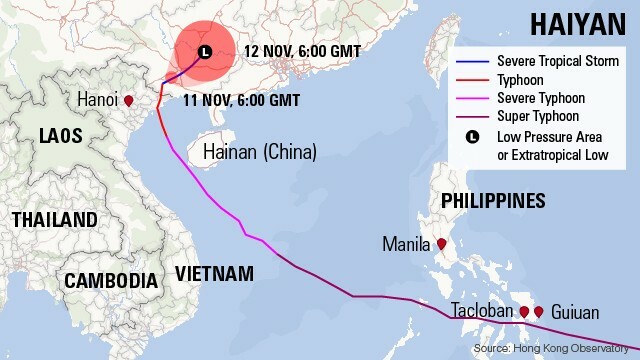 The storm had weakened by the time it hit Vietnam, and it was downgraded to a tropical storm after making landfall. 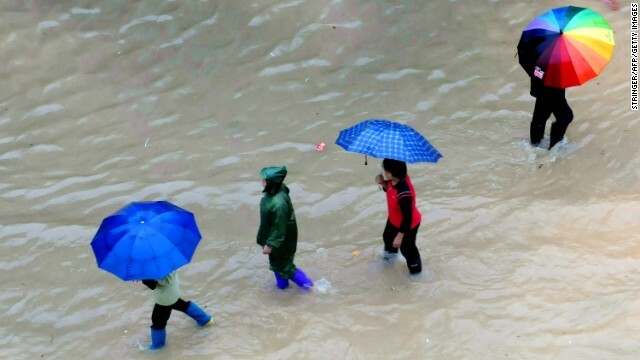 But it's still expected to cause heavy rain and flooding in northern Vietnam and southern China. 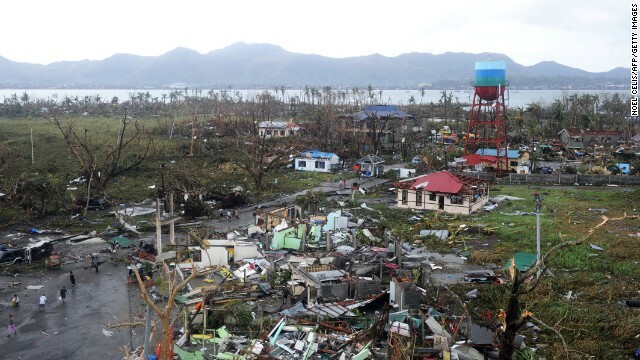 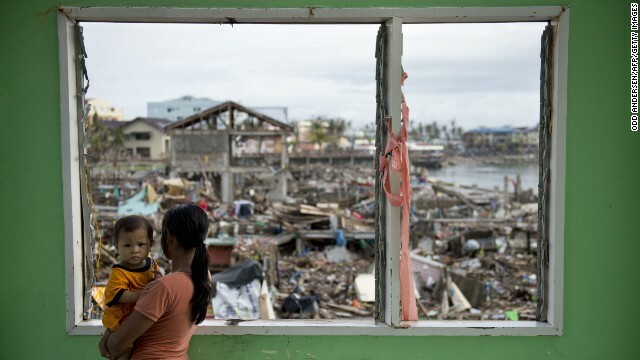 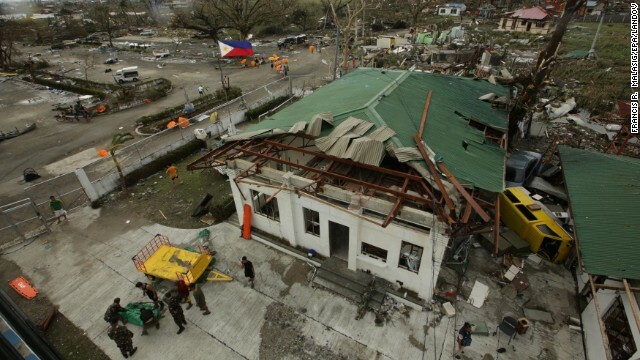 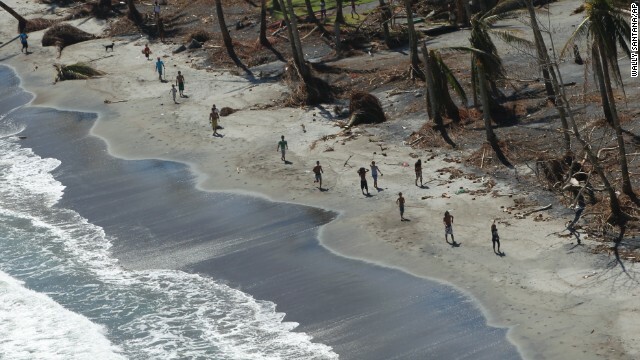 Andrew Stevens and Paula Hancocks reported from Tacloban; Holly Yan and Chandrika Narayan reported and wrote from Atlanta. 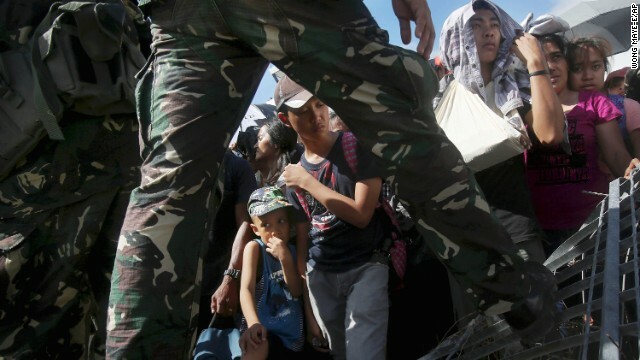 CNN's Kristie Lu Stout, Melissa Le Fevre, Aliza Kassim, Kevin Wang, Jessica King, Judy Kwon, Pedram Javaheri, Tom Watkins, David Simpson, Elwyn Lopez, Michael Martinez, Neda Farshbaf and Yousuf Basil also contributed to this report.